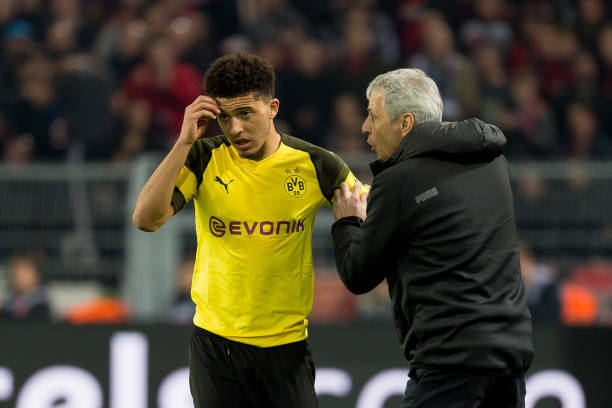 Borussia Dortmund boss Lucien Favre advised Jadon Sancho to continue working hard if he wants to reach the top. 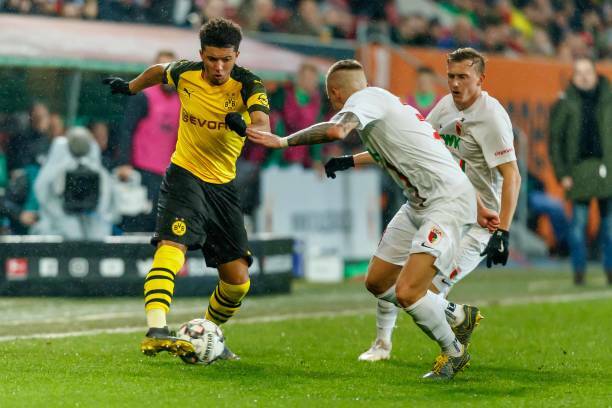 Sancho had a blistering start to the season as Borussia Dortmund climbed to the top of the Bundesliga but has struggled to hit the same heights in recent weeks. The former Manchester City winger has faltered as Dortmund have, with the team winning just one of their last six games. And ahead of the Champions League last-16 second-leg against Tottenham, Sancho's manager has a simple solution. ”He's a very good player, a very talented player,' he said. 'He's 18 and sometimes with 18 it's up and down. ”He had played really, really well in first half of season and at the start of second half but he has highs and lows.